The Witch's Island: Oh, No. 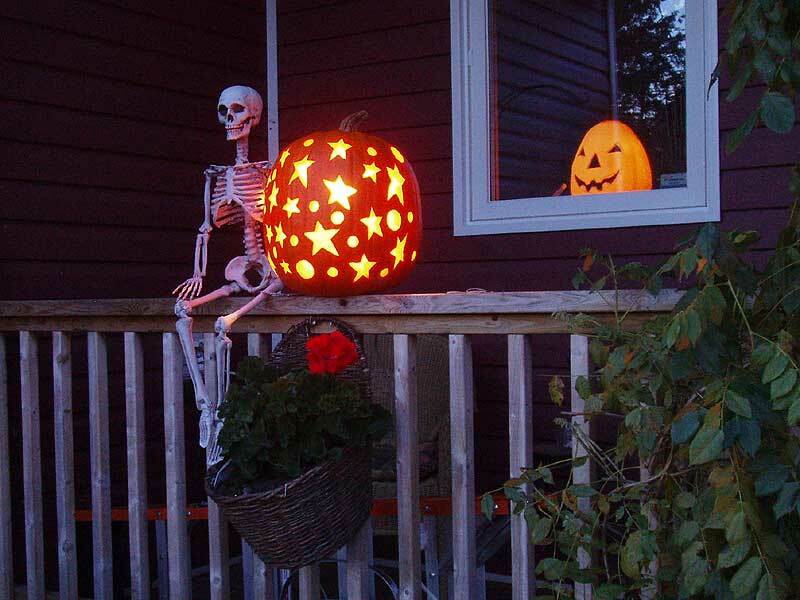 Halloween Is Over For Another Year. Oh, No. Halloween Is Over For Another Year. 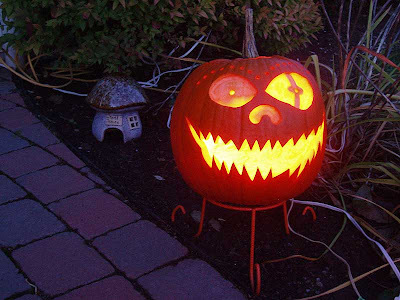 This creepy pumpkin ghoul was ready to scare the crap out of the kiddies but none of them even noticed him. I think he was disappointed and may have shed a tear or two. Well Halloween has come and gone for another year but I had a great time while it lasted. After the big storm on Sunday, the weather turned out just beautiful yesterday and it should have meant that the kiddies would be out in full force. Not that any of them actually walk in our neighbourhood, there’s just too much distance between houses. When you know that you are only going to get a dozen kids you can afford to max out the contents of the treat bags. 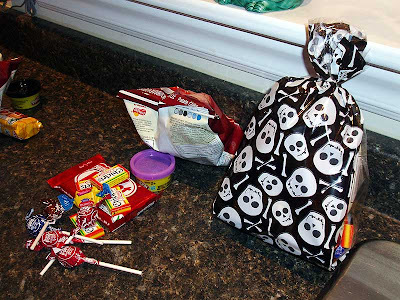 We did end up giving out 8 treat bags out of the ten we had prepared but two of them were for kids who were stuck at home for some reason. The best costume of the day was worn by one of the mothers, she was dressed up as Smurfette and she had done a pretty good job of it! Anyway, here are a few pictures of this year’s crew. I hope you like them. 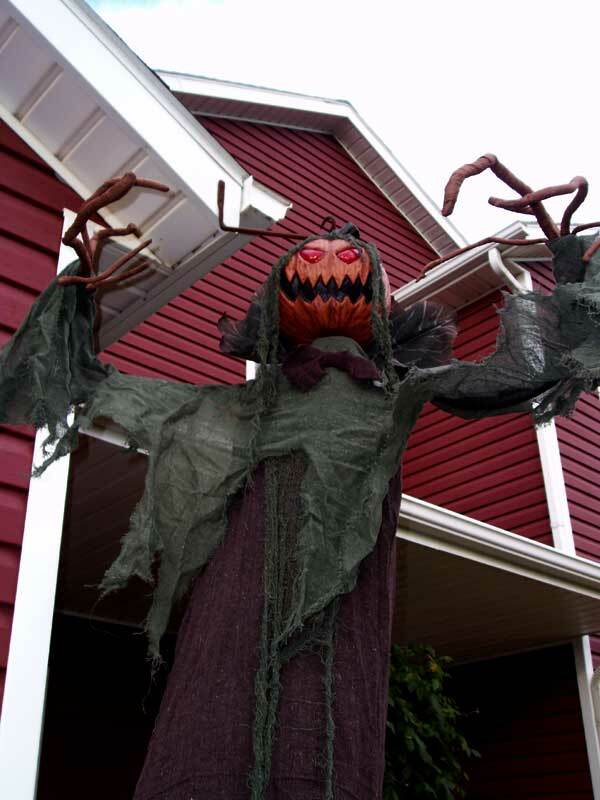 Now how long did you say it was until Halloween 2012? 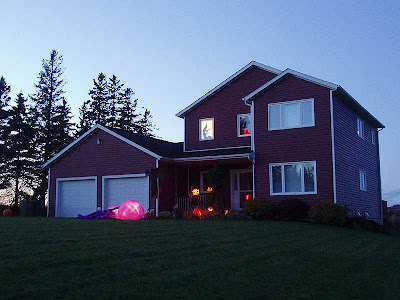 Halloween night was just perfect, weather-wise and the house was all decked out in plenty of time for us to go outside to enjoy it. 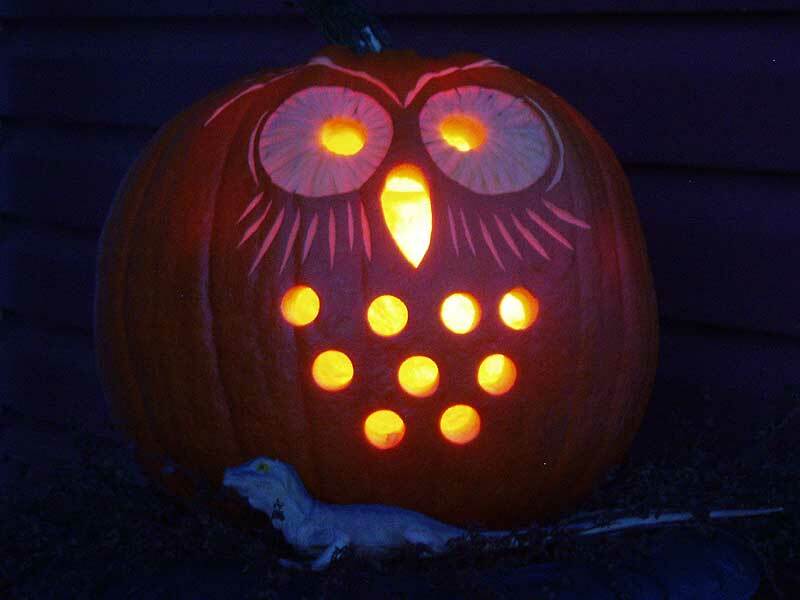 It looks like the owl has caught himself something to snack on for later. This is the first of the two pumpkins I carved this year. Hubby says that he may have a concussion because of the different sizes of his pupils. Hey, I think this guy is winking at you. This is my other pumpkin. I’m not sure what he actually is but he looks kinda like Grover from Sesame Street with a new nose. 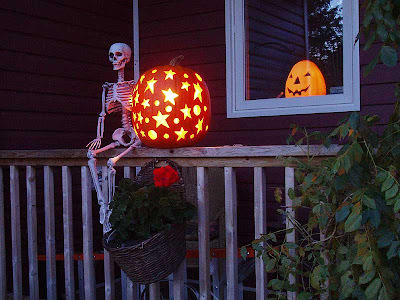 ”Stars and Moons” got a skeleton guardian this year. 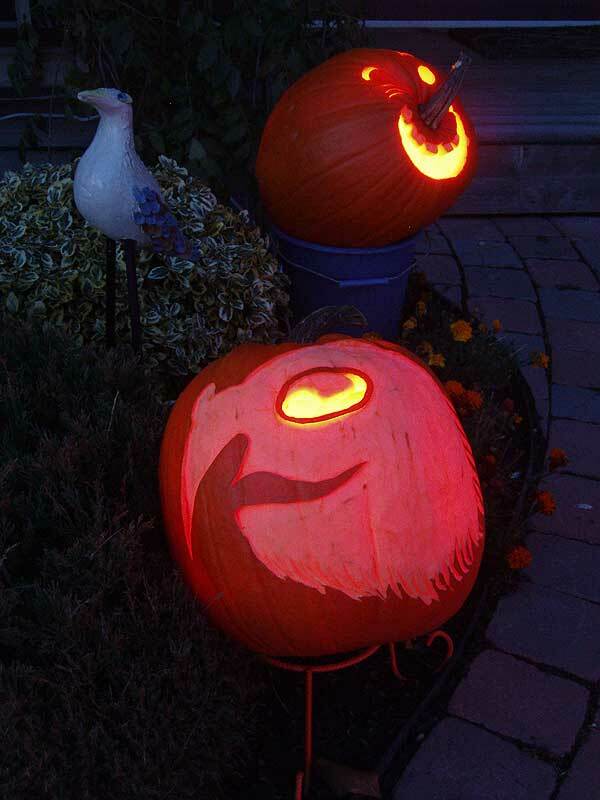 Your pumpkin carving talent is amazing! I like the various amounts of light you get shining through by only lightly carving in some areas! We had a little drizzle but not bad. Tomorrow its supposed to go up to 16c!! Can you believe it? Your goody bags take me back to when I was a trick or treater - I didn't think anyone did that anymore! 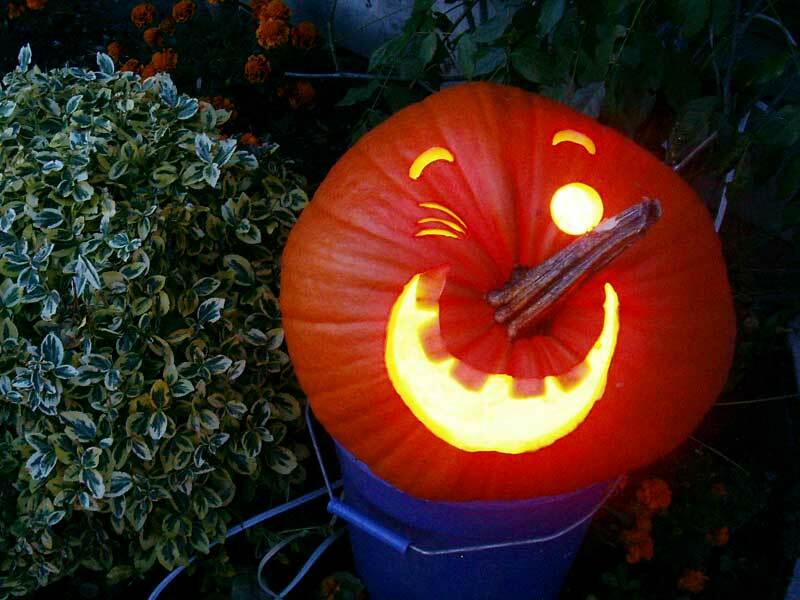 I might be trick or treating at your house one of these years! What a great smurf costume that was. I'm very impressed with her dedication. and loved all your pumpkins, particularly the winking fellow, very cute. Witch, your house looks 'spooktacular' for your favourite holiday. We got snow and rain, and i was busy with last minute boat and yard things, so didn't do much besides getting the candy. 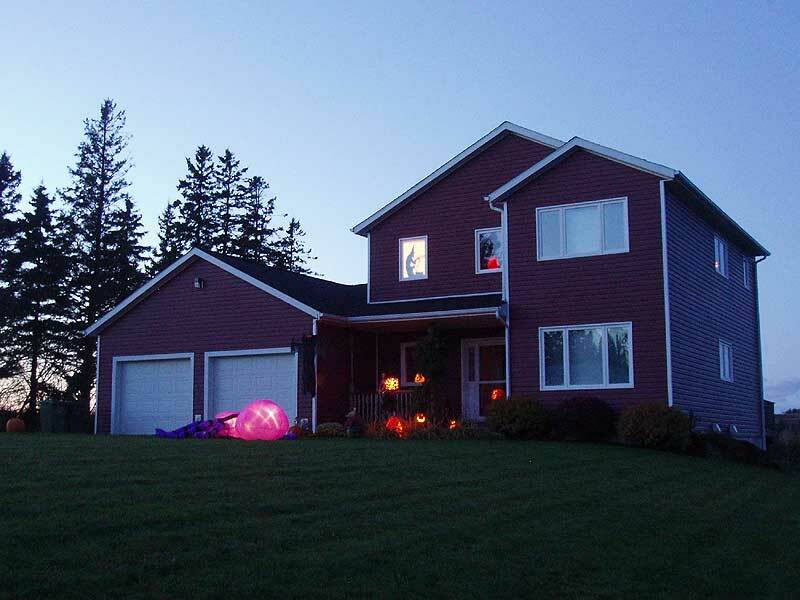 The front porch light, which is rarely used, decided to flash on and off, lending a spooky appearance, and it attracted some trick-or-treaters. Next year, i hope to be a bit more organised, and might borrow a few of your wonderful ideas.